Hi Ladies! I hope you're all well and having a fabulous Saturday so far. Its the weekend, yay! I'm currently snuggled up on the sofa about to stuff my face with Malteser bunnies - bliss! One of the most frequent 'requests' I get via email, twitter or comments on other posts is 'please do a blog post about your MAC eye shadow palette' - so here I am showing it off in all its glory. I've been collecting MAC shadows for quite some time now but have only recently finished filling my 15 pan pro palette. I don't have the money to splurge on random eye shadows very often so its taken me quite some time but after receiving some shadows for Christmas, I've finally got there, yay! If any of you own a MAC palette you'll know how satisfying it feels to finally have a full one. This also means I can now share it with you lovely lot and you might just spot some shades you like the look of or haven't seen before. The majority of my palette is neutral shades as I'm very much a neutral girl when it comes to eye shadow, however there is the odd bold shade thrown in there for good measure. 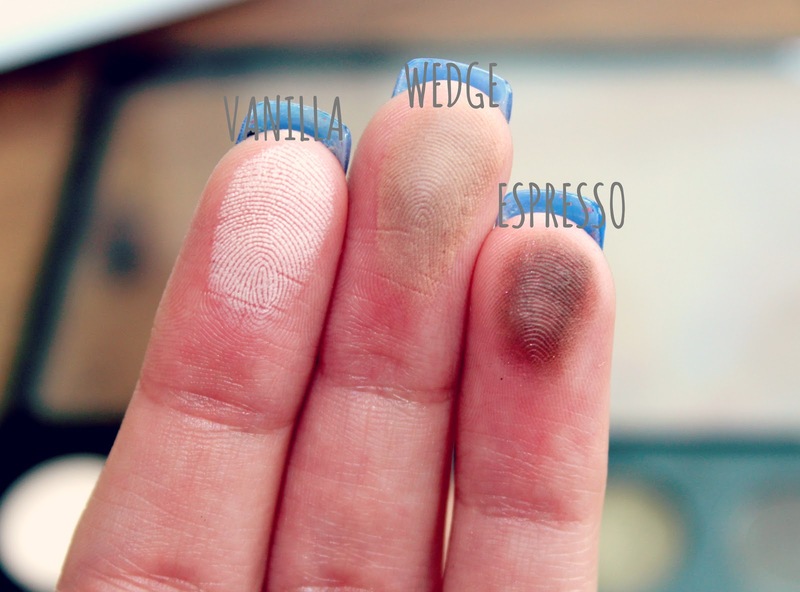 When I first started dipping my toes into MAC eye shadows a couple of years ago, I was completely clueless to the range of shades and finishes they offer. Much like the MAC lipsticks, their range of shades is humongous and the various names and finishes can be quite confusing. All of the shadows have fun and quirky names (one of the things I love about MAC as a brand) and the 'finish' of each eyeshadow is essentially the texture and effect it will have on the eye. The finishes MAC currently offers are – Frost, Lustre, Matte, Matte2, Satin, Veluxe, Veluxe Pearl and Velvet. Wow, that’s a lot of finishes. Each of them are summed up perfectly on the MAC website so if you want to know what each of these finishes means, I’d head on over there for a look. I was considering summing each of them up myself but I’d be here all day if I did and theres already lots of fabulous blog posts out there that do this better than I could. So if you don't know how MAC eyeshadow palettes work, they are available for anyone to buy on the MAC website and come in three different sizes - 2, 4 and 15 pan. When I say 'pan', this just means the amount of spaces each palette has and how many eyeshadows it can hold. I recently bought the newly released palettes with the clear lid and I have to say, I adore them. However, let me point out that with the new look palettes you have to buy the actual palette and the inset to hold the eyeshadows separately (this confused me at first). I currently own this 15 pan one and a quad I use to keep 'every day' shadows in and its a more travel appropriate size too. They are so handy for keeping all of my eyeshadows together as once you've bought the palette, you buy the 'pan' eyeshadows individually and pop them inside. They come with a little magnet on the bottom and once you've popped them in, they stay nice and secure. You can remove them as well though so don't worry about not being able to move them around and re-organise. To buy a standard MAC eye shadow it costs £12.00 or to buy it in pan form for the palettes it costs £10.00 so for me personally, it makes more sense to do it this way. I realise you have to buy the actual palette first which is an expense (£20.50 for the two parts) but saving £2 on each shadow means you save £30 in total so it still works out a little bit cheaper this way. Yay for savvy eyeshadow buying ;)! They also do a blush palette too, if you're more of a blush gal. So, moving on to my collection, I thought I’d go through each of the shadows I own and give a brief description of each. I do apologise for the huge amount of photos but I wanted to get decent swatches of each and this was the best way for me to do that. Vanilla (Velvet) - Vanilla is an Ivory shade and completely matte. I'm not sure why the finish is Velvet as I'd definitely class this as a matte eyeshadow. To be honest, I don't get much wear out of this one as it doesn't seem to show up on my skin tone, boo! Wedge (Matte) - Wedge is a neutral light brown. This shade is great for contouring the eye socket to add some extra dimension. Espresso (Matte) - This is a deep chocolate brown shade and again, the finish is matte. Its the perfect shade for my eyebrows and I sometimes use it as a crease colour when I want a subtle brown smokey eye. 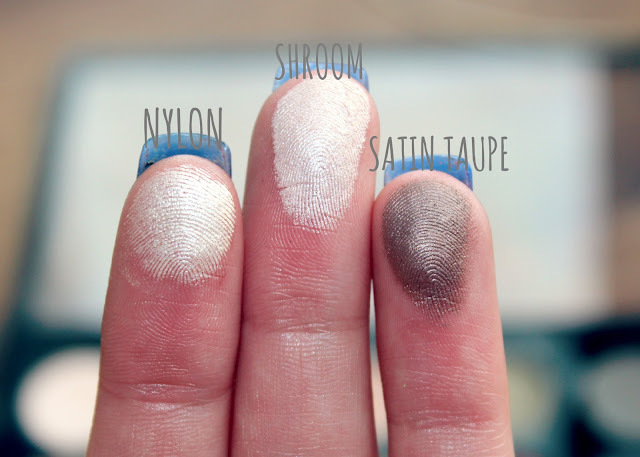 Nylon (Frost) - Nylon is one of my most used MAC eyeshadows as its the perfect highlight shade. Its a muted yellow gold and highly metallic thanks to the Frost finish. I mainly use this in the inner corners of my eye and my brow bone but it also looks lovely all over the lid. Shroom (Satin) - Again, this shade is perfect for highlighting the brow bone and inner corners of the eye. This one is white with silver flecks compared to the yellow and gold tones in Nylon. Its also slightly less shimmery due to the Satin finish. Satin Taupe (Frost) - Satin Taupe is one of MAC's most famous shades and I can absolutely see why. As the name states its a beautiful taupe shade and unlike any other shadow I own. Its a great crease colour and perfect for a sultry smokey eye. All that Glitters (Veluxe Pearl) - Another of MAC's most famous eyeshadows is All that Glitters. Its a muted peach shade with gold shimmer running through it. Its the perfect shade to wear on an everyday basis and one that would suit any skin tone. Woodwinked (Veluxe Pearl) - This was the first MAC shadow I got and its my all time favourite (this is my second one). Woodwinked is a beautiful metallic antique bronze/gold shade and it looks truly stunning against blue eyes which is probably why I'm such a fan! I wear this all over the lid and the metallic finish is just beautiful. My most worn shade, ever. Mulch (Velvet) - Mulch is like Woodwinked's slightly darker sister. Its a shimmery chocolate brown with gold running through it and paired with Woodwinked it looks bloomin lovely! Sumptuous Olive (Veluxe Pearl) - Again, another new addition to my collection and one I have instantly fallen in love with. For me this is like another Woodwinked as it has the same intense antique gold finish except with more olive tones instead of bronze. This is a beautiful colour to pop all over the lid and a bit different from your standard golds and browns. Cranberry (Frost) - If you've read my blog for a while, you might of seen the 'Autumn Eyes' look I did with Cranberry here a little while ago. That post is one of my most popular to date and so many of you told me you'd gone and bought this shade after reading my post. Its a truly beautiful and unusual shade with tones of red, pink and purple running through it. Great for the Autumn/Winter months. Sketch (Velvet) - Sketch is a deep purple/plum shade and a great companion for Cranberry. I used this is my 'Autumn Eyes' post too if you want to see it in action. Club (Satin) - Club is another recent addition to my collection and a colour I've really been enjoying using. Its a deep navy shade with tones of brown and green running through it. Its a very unique shade and it looks fabulous when worn in the crease to create a smokey green look. I paired this with Sumptuous Olive here in a recent post. 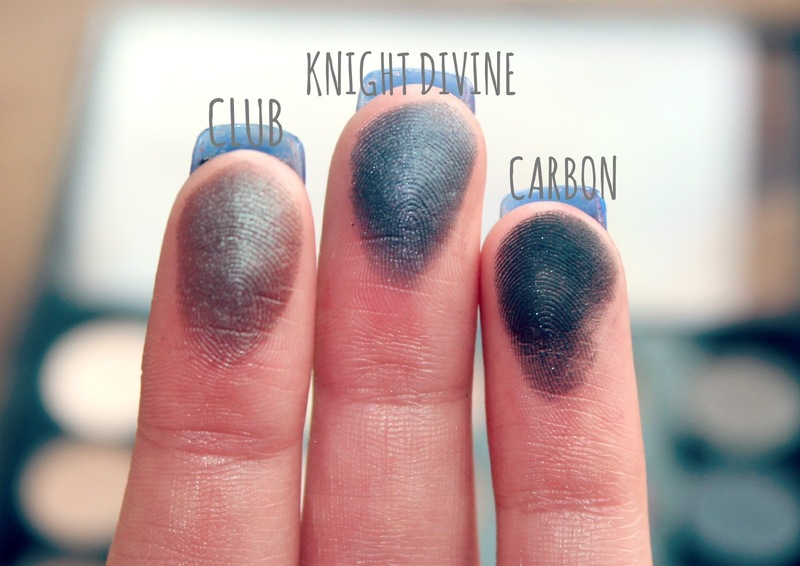 Knight Divine (Veluxe Pearl) - Knight Divine was one of my very first MAC eyeshadows along with Woodwinked and its a great shade for creating a dark and dramatic smokey eye. It can be worn all over the lid for a very dramatic look or in the crease for a more subtle effect. Carbon (Matte) - This is another of MAC's most popular shades and a staple in my collection. If you like experimenting with eyeshadows, then a matte black like Carbon is a must-have. Its the most versatile shade of the bunch and can be paired with any other shadow. It can be used in the crease to create a subtle smokey eye, layered up to create an intense look and even used in the place of an eyeliner. I love it! Favourite Shade: Woodwinked - The most beautifully versatile metallic shade and it makes my blue eyes really stand out. Least Favourite Shade: Vanilla - it unfortunately doesn't show up on my skin. Favourite Finish: Frost & Veluxe Pearl - Its a tie between these two beautifully metallic finishes. I definitely love a bit of shimmer. Least Favourite Finish: Matte - Like I said above, I'm a shimmer girl. However, I do think a couple of matte shades are essential as you don't want to look like a disco ball ladies! So there we have it, my MAC eyeshadow collection! I hope you've enjoyed seeing my collection and have hopefully discovered some new shades or shades you like the look of. If you haven't already tried them, I can't recommend MAC eyeshadows enough. They're the nicest eye shadows I've ever used and the quality and pigmentation is worth every penny in my opinion. Even though I already have 15, I know I'll end up wanting more and starting another palette so if you have any suggestions, do let me know in the comments below. I currently have my eye on Expensive Pink, Antiqued and Amber Lights. Surprise surprise, more neutrals! You can find the pro eyeshadow palettes and pro palette refill pan eyeshadows on the MAC website. 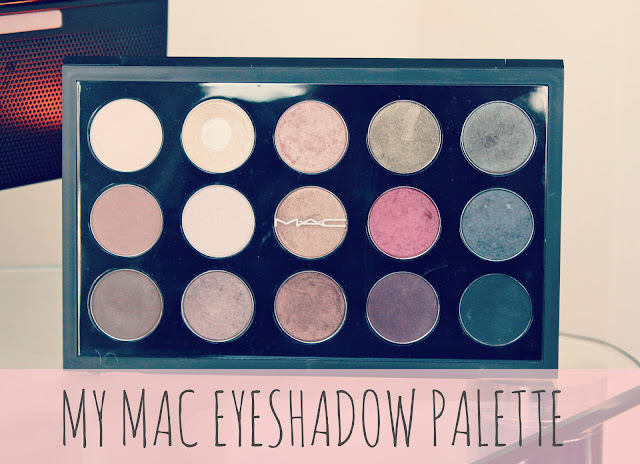 Do you own a MAC eyeshadow palette? What are your favourite shades? I really love this palette! You always write such nice reviews :) super helpful!! 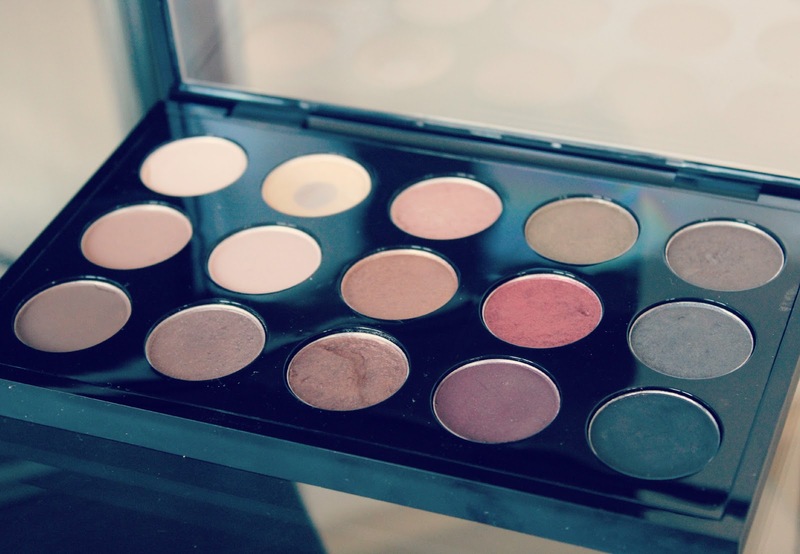 Really enjoyed reading this post, I'd never considered putting together my own mac eyeshadow palette before but I certainly am now! All of these shades are gorgeous. 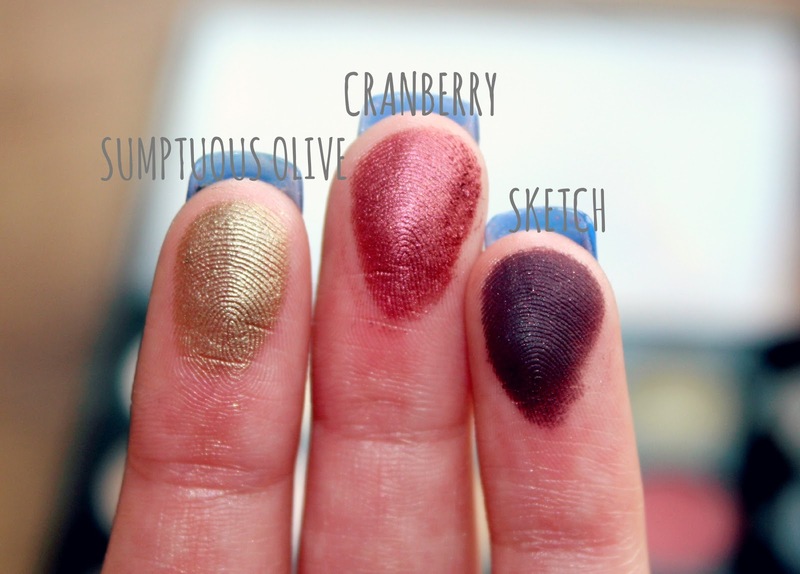 Cranberry and Sumptuous Olive are lovely! Lovely collection. 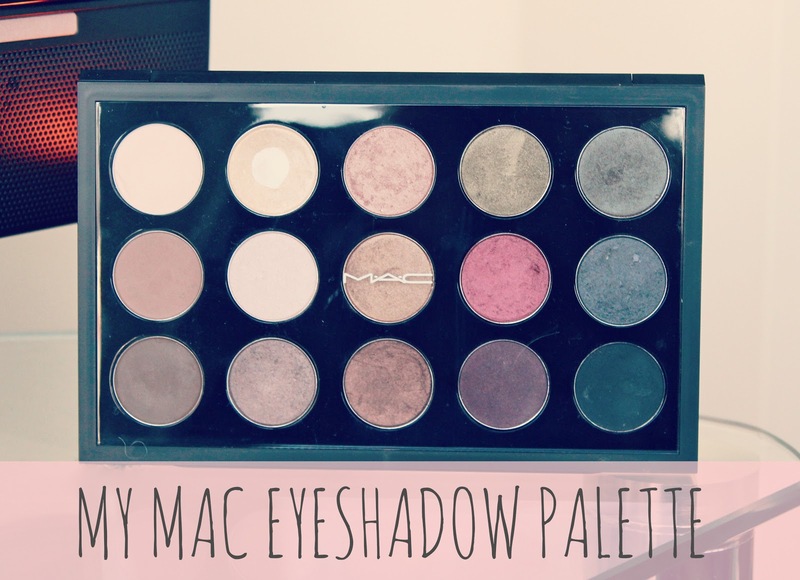 I would love to start one of these palettes off as I only have 1 MAC eyeshadow at the moment. I love all your choices so much! I need to get a palette for all my loose eyeshadows... slippery slope? Haha. Lovely choices, i've got quite a few of those in my collection too! Such a nice picked palette. Satin taupe is one of my all time favourites along side woodwinked too. The thing I love about MAC shadows is that they are fairly all pigmented with a few exceptions. I think the only one I have that doesn't really show up on my skin is retrospeck. Such a great collection hun! Adore Woodwinked as well, it's my all time fave shade! Such stunning colors! I love the shimmer the colors provide. Awesome post, you have a perfect MAC palette! 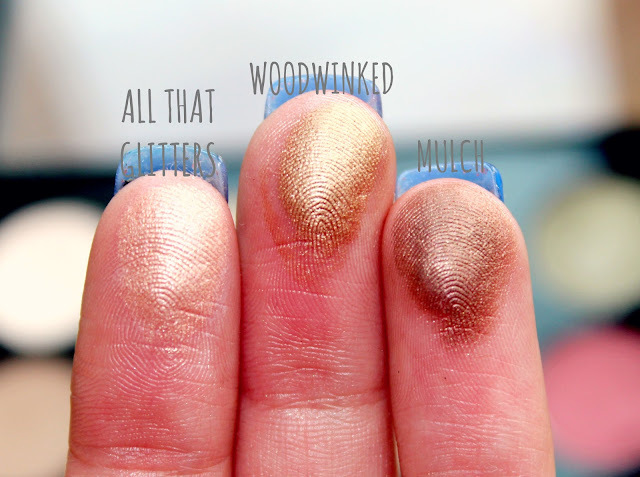 I love All That Glitters, I use that one all the time! I would suggest you try Vex the next time you have an eyeshadow craving, it's an amazing color! Such a great collection! I'll definitely have to pick a few up next time I pop into a MAC store! 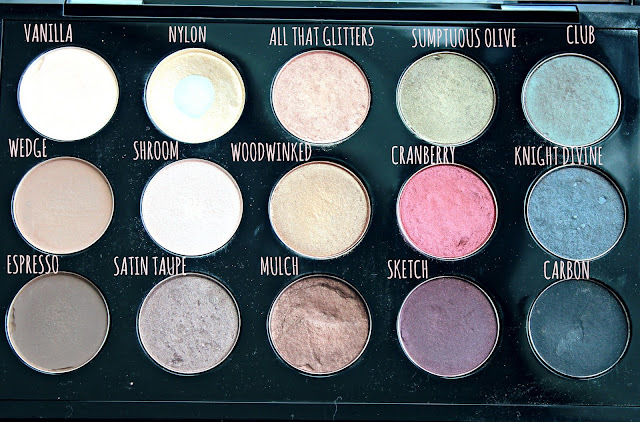 If I had a MAC palette I think mine would look identical to this!! i have a few of these colours already and love them! you have a great taste for mac eye shadows. This is such a good post, got a list of all the shadows i need to pick up from Mac now. I better start saving haha! when I first saw the first picture I thought that was my mac pro palette, haha! i have many of the same shadows as you! i love all that glitters! i like the way sumptuous olive looks may have to pick that one up! You have some lovely colour choices! Satin Taupe and Cranberry are probably my favourite, although Mulch and All that glitters are also very nice. So helpful thank you ! These swatches are beautiful!